It is already time to turn on the furnace in your Mount Vernon home. If you live in a part of the country that is cold during the winter, you spend a lot of money on heating costs. Some people are spending up to 50% of their monthly budget on heating. 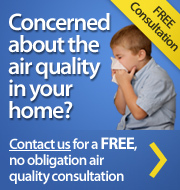 Start by walking through your home and identifying the areas where heated air is leaking out. Check around your doors, windows, fireplaces and any drafty areas. There are many ways to close off leaks. You can caulk, weather strip and use plastic to seal off drafts. Put door sweeps on all of your outside doors. If your Ridgefield home is poorly insulated, the additional money spent to insulate it will pay for itself in reduced heating costs. The more you prevent heated air from leaking out, the more you will save. Most people never think of this, but you should minimize the usage of ventilation fans and kitchen hood fans during the winter. I've heard it said that one bathroom fan can pull all of the warm air out of an average sized house in a little over an hour. This could increase your heating costs by a surprising amount. If you're looking for a Mount Vernon HVAC contractor, then give us a call today at 914.777.5030 or complete our online request form.